Fit Revolution, an indoor cycling studio and “boot camp” fitness-training facility in the Boston suburb of North Reading, featuring a new A/V system spec’ed and installed by GC Pro. WESTLAKE VILLAGE, CA, February 6, 2013 — Fit Revolution, an indoor cycling studio and “boot camp” fitness-training facility that opened last September in the Boston suburb of North Reading, keeps its hundreds of members in great shape with 22 stationary bicycles in its 800-square-foot studio. It also is one more example of how Guitar Center Professional (GC Pro), the outside sales division of Guitar Center that focuses on the needs of professional users, has helped a wide range of establishments, from restaurants to retail, get the right AV systems that fit the way they work and help boost their business. 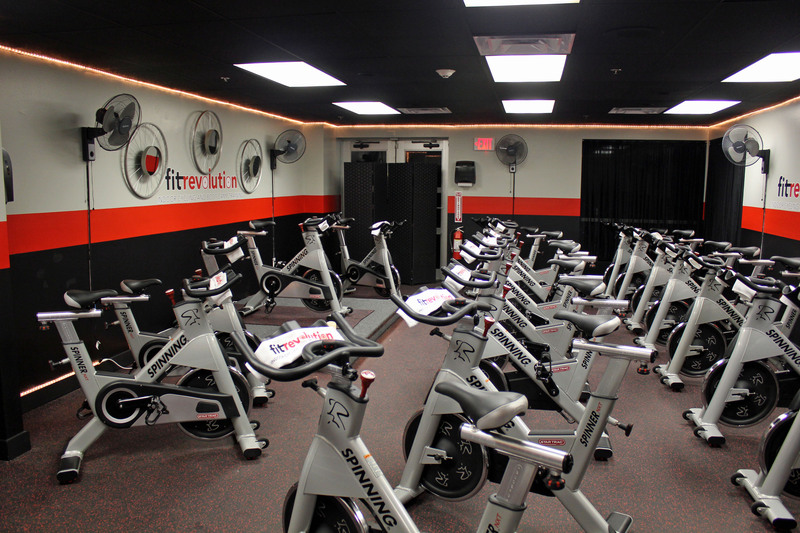 Photo Caption: Fit Revolution, an indoor cycling studio and “boot camp” fitness-training facility in the Boston suburb of North Reading, featuring a new A/V system spec’ed and installed by GC Pro.